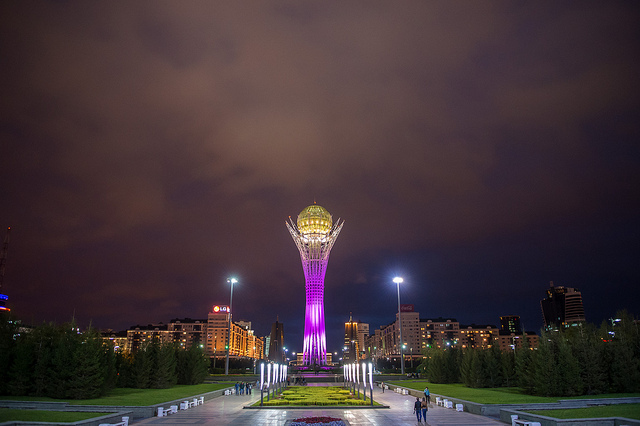 Home Research & Publications Policy Briefs Is Kazakhstan’s rising star fading? Kazakhstan’s economic prosperity and active foreign policy have given it increasing regional power status. Kazakhstan has stood out internationally as a mediator in conﬂicts, chair of international fora and partner to key international actors, but its ‘golden decade’ of economic growth has ended. The country faced a serious economic crisis in 2014 and registered only slightly over 1 percent GDP growth in 2015 and 2016. Even though growth improved to approximately 3.5 percent in 2017, due to higher oil prices and production, figures are likely to remain lower than pre-2014. 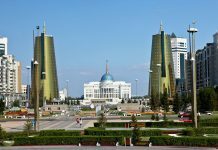 In January 2017, at the initiative of ageing President Nursultan Nazarbayev, parliament approved constitutional reforms to strengthen its role, including the transfer of some presidential functions, in an effort to decentralise power. While reforms have yet to be implemented, such economic and political developments seem to point towards a change in governance (the country is preparing for presidential succession) and the creation of a new ‘social contract’ between the regime and society. 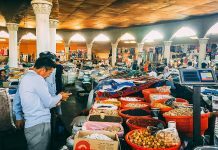 Kazakhstan has largely weathered the recent economic storm, but needs to adjust to more modest economic growth, making economic diversification imperative. Both Kazakhstan’s leadership and broader society are on the move towards governance reform and the creation of a new social contract. The EU is a crucial economic partner for Kazakhstan and has finalised a novelty partnership agreement with Astana. All this increases the chances of promoting economic and political reform. Kazakhstan is the European Union’s (EU) main partner in Central Asia. Similarly, the EU plays a critical role in Kazakhstan’s foreign policy calculations, as the country seeks to avoid Russian-Chinese dominance over the region, and interference in the country’s economy and foreign investment strategy. In 2015, Astana and Brussels signed an Enhanced Partnership and Cooperation Agreement (EPCA), which was ratified by the European Parliament in December 2017 and is now pending ratification by several member states before fully entering into force. (1) This novelty agreement is a more sophisticated version of the standard partnership and cooperation agreements that the EU has with many countries worldwide. (2) As such, the EU has recognised Kazakhstan as a ‘special’ partner in Central Asia, while also opening the door to providing more assistance to help boost the country’s economic, social, and governance development. What will be the impact of Kazakhstan’s economic slowdown on the country’s political and social fabric? Is there a window of opportunity for democratic transformation? This Policy Brief addresses the main issues faced by the Kazakh authorities – the need to diversify the economy, potential governance changes, and the design of a new social contract – and how this could inﬂuence the country’s relationship with the EU. The Eurasian Economic Union (EEU), whose treaty Astana ratified in 2014 in the middle of the Ukrainian crisis, worsened the situation. Directly impacted by Russia’s own economic difficulties, and indirectly by Western sanctions toward Moscow, Kazakhstan seemed more ‘caught’ in Russia’s orbit than it would have liked to be. The region’s economic crisis, largely caused by a decline in oil prices, reduced the potential benefits of EEU cooperation, particularly in light of high external tariﬀs and lack of progress in abolishing internal nontariﬀ barriers. The latter, combined with institutional conﬂicts, and Kazakhstan’s WorldTrade Organisation (WTO) membership, have contributed to the emergence of trade wars among EEU members, especially Russia and Kazakhstan, and attempts by Kazakhstan and Belarus to weaken the level of integration. (5) When Kazakhstan joined the EEU, Nazarbayev made it clear that ‘If the rules which were previously established in the treaty are not fulflled, then Kazakhstan has the complete right to end its membership in the Eurasian Economic Union. Astana will never be in an organisation which represents a threat to the independence of Kazakhstan.’(6) Yet, it is difcult to imagine that Kazakhstan would be able to fully withdraw from the EEU without facing Russia’s retaliation. Astana is too intimately associated with Moscow, not only economically but also in terms of security and military cooperation. This is putting great pressure on the government to diversify the economy, a task compounded by the more modest financial context. 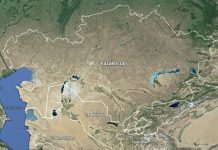 Kazakhstan has to move away from the easy solutions of the 2000s when money was spent carelessly on mega window dressing projects; it needs to develop sustainable strategies, with more room for non-oil exports (for instance, agricultural products), and give preference to the private over the public sector. This also implies better justifying public spending. Public opinion has grown increasingly critical over authorities’ overspending on branding. 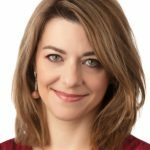 Social media regularly echoes the population’s dissatisfaction with corruption scandals associated with the construction sector, concerns about the costs of the Expo 2017 in Astana (whose success was seen as modest)(8), and even relief when the country lost the bid for the 2022 Winter Olympics. 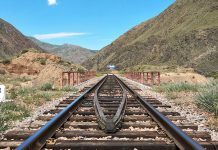 Kazakhstan’s need to diversify its economic portfolio and move from an extractive to a generative economy could also oﬀer opportunities for the EU. The EU has been Kazakhstan’s main trading partner for several years, accounting for almost 40 percent of the country’s total trade in 2016. The EU is by far Kazakhstan’s largest export market (more than half of its exports go to the EU) and the country features as the EU’s 34th trading partner. (9) The EU also accounts for almost half of all foreign direct investment (FDI) towards the country. (10) Another key factor in EU-Kazakhstan trade relations are Kazakh imports of technology and innovative products from Europe. Through economic cooperation and investments, Europe can be a frontrunner in helping Kazakhstan diversify its economy beyond oil production. Kazakhstan’s more modest economic outlook may inﬂuence the forthcoming presidential succession. It seems that the economic slowdown – as well as the death of Uzbek president Islam Karimov in September 2016 – has opened the door, at least on paper, for some reforms, including preparing the country for a less presidentially organised regime and a strengthened parliament. New amendments to the Constitution should, at least in theory, strengthen parliament’s supervisory powers over government, allow for the transfer of some presidential powers to government and parliament, and modernise the judicial system. (11) However, these amendments have not yet been put into practice. Earlier announced political reforms have also had little impact in terms of promoting good governance, strengthening the rule of law or creating a more diverse political landscape. While the presidential office, AkOrda, is preparing public opinion and the bureaucratic, political and business elites to the unavoidable moment when the country’s ‘frst president’ leaves the scene, it also wants to maintain the status quo for as long as possible by keeping potential successors or competitors at bay, thus ensuring that the president is not challenged prematurely. There are two main reasons behind Nazarbayev’s decision to introduce constitutional reforms. First, it gives him the option to step down with his ‘leader of the nation’ status – validated by parliament in 2010 – intact, which would allow him to devote his last years to cultivating his international image. This would make it almost impossible for a new leader to compete with him in terms of legitimacy. Second, by introducing these reforms, Nazarbayev has indicated his desired path for his country should he die whilst still in power. As such, he would always be remembered as the leader who led the country towards a more democratic system. In both scenarios, the new leadership will be more collegial and less personalised, with power shared among several technocrats and institutions. Moreover, the new leadership will probably have to impose austerity measures, consolidating the image of Nazarbayev’s time as the ‘golden age’ of independent Kazakhstan. Both in Turkmenistan in 2006-7 and in Uzbekistan in September 2016, the transition was smooth, without the ‘leader of the nation’ publicly designating an heir. All ‘negotiations’ were done behind closed doors. 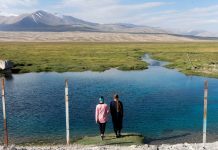 The Kazakh elites are likely to be more competitive than those of their neighbours, mostly because their assets lay on more diverse sectors – not only oil and gas but also minerals, construction, banking and investments, communication and transportation. (12) However, they will still want to maintain elite coherence. The future of the presidential family is likely to be a critical issue. Nazarbayev’s eldest daughter, Dariga, is former Deputy Prime Minister and currently an important figure in the Senate; and Nazarbayev’s grandson (Dariga’s son), Nurali, as well as one of his sons in law, Timur Kulibayev (married to the president’s youngest daughter), are political ‘heavyweights’. While both Dariga and her son have political ambitions, Kulibayev is a key actor in the country’s energy sector. Their legitimacy as powerful political and economic stakeholders could be challenged by competing forces coming from technocratic circles or oligarchic/business groups. Some actors may want an asset re-distribution, but they all hope to avoid the risks of potential intra-elite fighting, which would weaken the country’s image before foreign investors and could indirectly spur both street protests and/or interference from Russia or China. Europe will largely be a bystander in the succession process. It seems unlikely that European investments in the country would be challenged during the potential intra-elite fighting, as all Kazakh actors need FDI and want to portray the country as a reliable economic partner. In the political and societal realm, the EU’s room for manoeuvre to inﬂuence intra-elite games is non-existent. Yet, it could prepare itself for the succession with a hands-on strategy aimed at developing institutional partnerships and building a more constructive relationship with the Kazakh bureaucratic elite, who will continue to manage the state regardless of whom becomes president. Meanwhile, the EU should make maximum use of its positive ties with Kazakhstan, the constitutional reforms and the agreed EPCA language on governance, rule of law, human rights and civil society inclusion. The European Parliament has stressed that implementation of the EPCA should be subjected to an ‘eﬀective monitoring mechanism based on clear benchmarks and deadlines’(13), not only in the economic sphere but also in terms of democratic development and human rights. Brussels should closely monitor and support (via capacity-building projects) Astana’s implementation of its national reform plans with specific reference to the provisions laid down in the EPCA. A new social contract for a post-Nazarbayev era? It is expected that once Nazarbayev leaves the stage, a more plural political landscape emerges. The younger generations increasingly voice their opinions (in particular through social media) regarding the direction they wish their country to take. This political diversity would need to be cemented in a more plural parliament. By NASA under Creative Commons license. For sure, the next leadership will have to consider such a mindset, and might have to distance itself from the Nazarbayev era narrative of a shared Eurasian destiny with Russia and a Kazakh society looking both East and West. Unsurprisingly, the main public debate in 2017 versed around the change of alphabet from Cyrillic to Latin announced by Nazarbayev as the main symbolic gesture of the country’s distancing from Russia. This change will be introduced gradually and probably create a cascade of new issues and difficulties in the educational realm, as well as in the information landscape. Therefore, the new social contract will have to include elements such as a more plural political life – though probably still largely managed from the top –, growing references to ethno-nationalism and the so-called ‘Kazakh values’, as well as a continuous debate about the place of Islam in the public space. The emphasis will have to be placed on citizens’ well-being and quality of life, i.e. taking care of regional disparities, improving the living standards of the rural population, and oﬀering a less corrupt environment for the middle classes, as well as develop a more accountable and transparent administration. 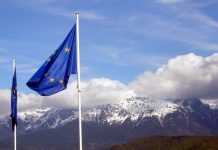 In this new cultural context, the EU will continue to be seen by some part of the public opinion as a model in terms of democratic values, respect for citizens’ rights and the welfare state, but often based on the understanding that these elements will need to be home-grown and display a specific ‘Kazakhness’. 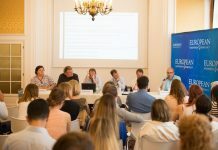 However, references to a conservative Europe – mostly new Central European member states – and illiberal populist parties are also on the rise among young Kazakh nationalist-minded groups, who see these as a way to accommodate both European modernity and freedom of speech with the preservation of some so-called Kazakh traditional values. The EU should, therefore, continue to brand democratic values and its respect for diversified political agendas as one of its main assets towards Kazakhstan. 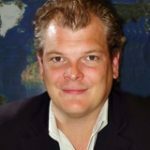 While the EU should speak with one voice, it should also make it clear that it represents a diversity of political systems, each with its traditional and historical peculiarities, but all based on the same democratic principles of transparency, accountability, division of powers, free elections and respect for human rights. The geopolitical environment has changed dramatically over the past few years, with the rise of anti-liberal agendas in many parts of the world. Central Asia is surrounded by antiWestern sentiment stemming from many countries, at diﬀerent levels, mainly Russia and China, and post-coup Turkey. The United States’ prestige has largely diminished and the new US administration, with its isolationist narrative, contributes to Central Asia’s view of Washington as an unreliable partner, even if President Donald Trump’s personality is well regarded among some Kazakhs. The EU’s attraction has also been tarnished by the debt crisis, the refugee crisis, the forthcoming Brexit and Catalonia’s secessionism aspirations. But the EU’s activity and engagement with Kazakhstan could be just as stable as those of Russia and China (though more modest in scope) and more inﬂuential than those of a host of other players. Furthermore, the EU’s economic clout makes it a key actor in Kazakhstan’s future. 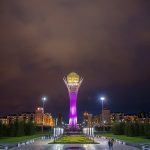 Kazakhstan is potentially interested in a European model characterised by high living standards: the Kazakh middle-classes and elites are genuinely attracted to European culture and education. Meanwhile, the EU is by now one of the few actors that seek to actively defend values and promote democratic development in Central Asia. This is an important asset that the EU should exploit carefully as Kazakhstan’s internal confguration changes as a result of economic downturn and as the country searches for new sustainable growth models. 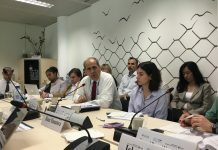 The EU could help Kazakhstan on several fronts: pushing for more transparent practices in the economic sector and in the politics-business relationship; helping to put constitutional reforms into practice; supporting capacity-building for good governance programming, and urging the country to create a more plural political landscape that reﬂects society’s genuine ideological diﬀerentiation. Concomitantly, the EU should continue its defence of human rights in Kazakhstan through dialogue (ideally now linked to agendas that include benchmarks) and promote civil society inclusion through increased project support. This is easier said than done, but the EU should understand its uniqueness as a partner for Kazakhstan and grasp the possibilities that exist for gradual economic and political change. In December 2017, the EU also launched EPCA negotiations with Kyrgyzstan. Molodezh Kazakhstana 2014 (Astana: Council for Youth Policy under the President of the Republic of Kazakhstan, 2014). Institute of Eurasian Integration, Sovremennoe sostoianie i tendentsii vsekazakhstanskoi kultury, October 2014. See also, Ideologicheskie ustanovski i osobennosti identifikatsii naseleniia RK (Almaty: Strategiia, 2009).